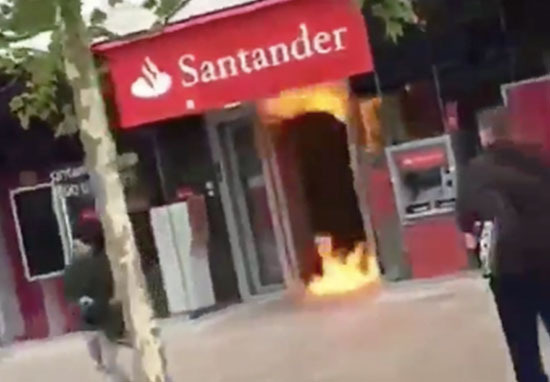 Police were called to a bank in Hull city centre when a man carrying a bladed weapon and petrol started a fire. 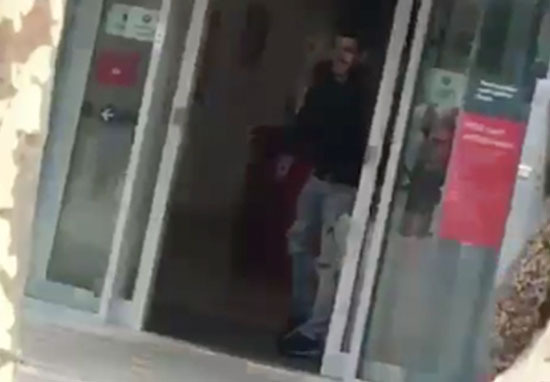 The man was reported as brandishing a ‘cleaver’ in Santander on King Edward Street at around 1pm this afternoon (September 11). 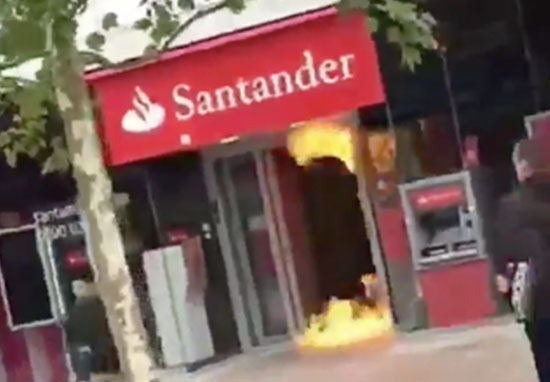 The attacker started a fire in the doorway of the bank, causing part of the city to go into ‘lockdown’. Sarah Akerman, a BBC employee, described the scene, explaining she had seen the man ‘wafting a butcher’s cleaver’. There was a huge presence of emergency services, it was a complete lockdown. The man reportedly ran from the scene and headed towards the train station. He was arrested at Paragon Interchange station and remains in custody. An area around Santander and the train station were cordoned off, with members of the public advised to stay away while investigations took place. Police have said they are not treating the incident as a terrorist attack, but rather as an isolated incident. We are mindful of the public’s concern that these types of incidents may be related to terrorism, however there is nothing to suggest that this is anything other than an isolated incident which has been dealt with promptly by the responding police and emergency services. I want to offer reassurance that our priority at all times is the safety of the public. Santander is shocked by the attack on its branch in Hull and we are co-operating with the authorities to understand what happened and why. 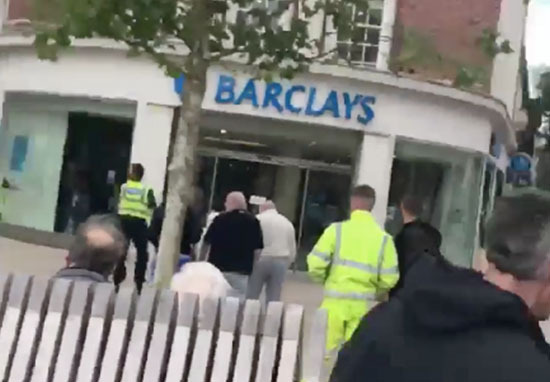 According to Hull Daily Mail, the attacker allegedly started a fire in a Barclays bank. I was stood outside Santander and this guy came running in. Everyone was shouting ‘get away’ and they were screaming and shouting. He ran out of Santander and everyone was saying ‘move back.’ He went into Barclays and threw a load of petrol on the floor and this woman came out screaming. There were flames and the next thing I knew armed police turned up. They chased him down the street and caught him near Hull Paragon. Officers were called to Hull city centre this afternoon to a report that a man was carrying a bladed weapon and a container with liquid in thought to be petrol. The man had entered two banks on King Edward Street around 1pm and set fire to some of the liquid. A number of officers quickly attended along with fire crews and a small blaze was put out. The situation was contained very quickly by police and emergency crews and the man was arrested at Paragon Interchange. The suspect is now in custody. No one has been seriously injured. The public are advised to avoid the area while our investigations continue. Anybody with information about the attack should contact 101 quoting 237 of September 11.